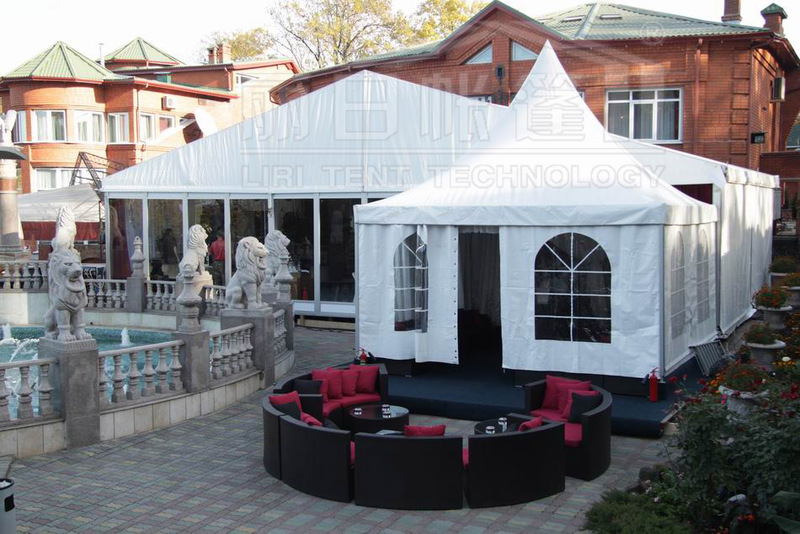 The tent can be widely used as the entrance of building, car park, outdoor wedding tents, party marquee tent, celebration marquee, festival marquee and so on. The marquee which the following photo shows is with 850g/sqm opaque cover as an entrance to a bigger tent for an outdoor event. Sizes are available from 3*3m, 4*4m, 5*5m, 6*6m, 8*8m, 10*10m. 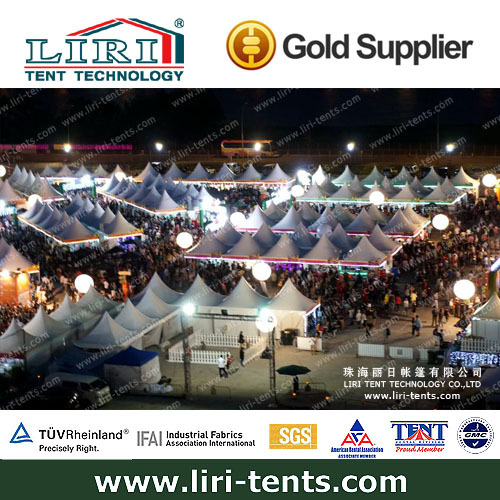 Widely used forhe tennis court, outdoor sports events, swimming pool tent, private & corporate party, celebration, outdoor exhibition & Expo, trade show, commercial activity.